GolfPunk attributes: This girl can putt. Standing tall at 6 foot, you would think that driving would be Sandra’s game, but it’s on the green where she makes her shots. 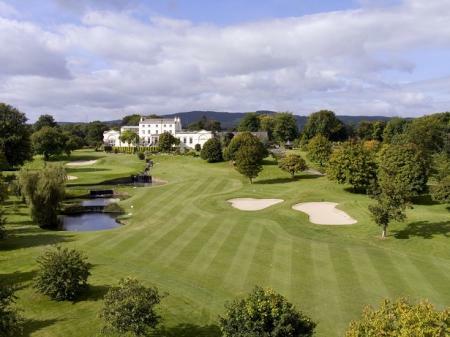 She showed it in this mornings Day 1 foursomes, holing the winning putt to win 3&2 with her partner Catriona Matthew. This European pairing were a combined 62 places below the American team they faced in Stacy Lewis and Lizette Salas. Good going if you ask me, everyone loves an underdog. Gal has an air of elegance about her, going about her work in with her smile on face. She plays the violin too, more than one string to her bow (hahahhmhhhmmmm, sorry). GolfPunk Attributes: Melissa is a streaky player no doubt, you only have to look at her World Ranking to see that she hasn’t been playing her best golf recently. But, that hasn’t stopped her coming out and putting a point on the board for Europe in the morning foursomes, with some seriously strong stuff. 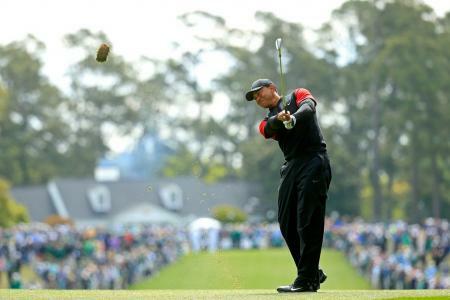 Reid has a natural, Adam Scott-esc golf swing that is seriously good to watch. At the age of 27 she still has time to make a serious impact on the Ladies European Tour, and really fulfill her natural potential. She’s one to watch. 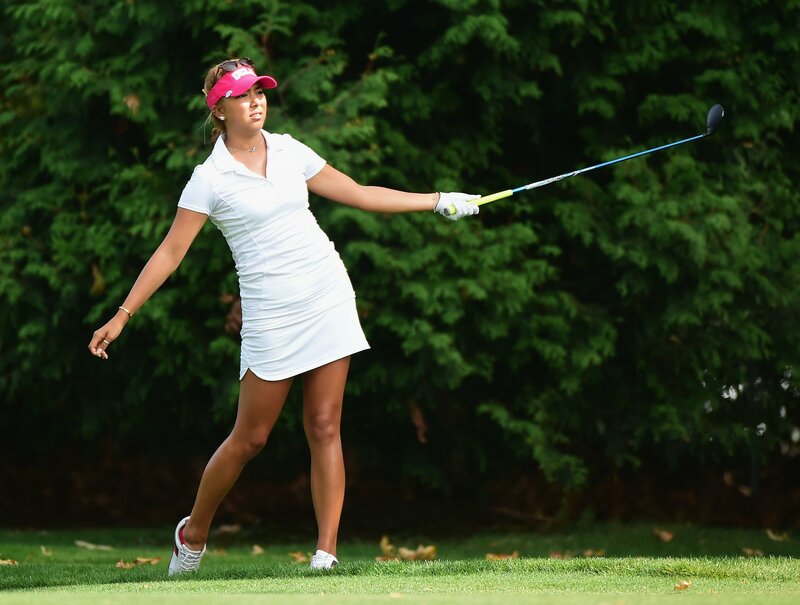 GolfPunk Attributes: Charley is the youngest player at the Solheim Cup after turning 19 in March earlier this year. Has her age phased her? Not one bit, in the Day 1, morning foursomes she made up the all-England partnership with Melissa Reid and brought home a point after beating Wie and Lincicome 2&1. She has already played in one previous Solheim Cup in 2013. 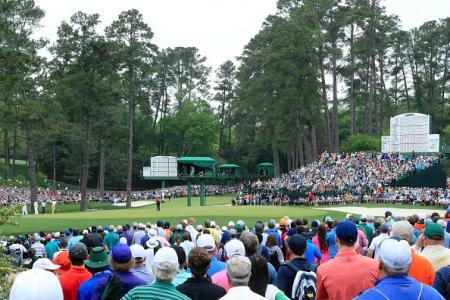 Nothing seems to bother her, and as she teed off from the 1st in the afternoon fourballs, the huge following she has amassed was clearly evident. The crowd love this girl and the way she goes about her business. Fun to watch I hear you say? Ladies Golf needs about ten more players like Charley, then we would see more young girls being inspired to take up the game. With bags of talent and a cool head, Hull has a big future ahead of her. 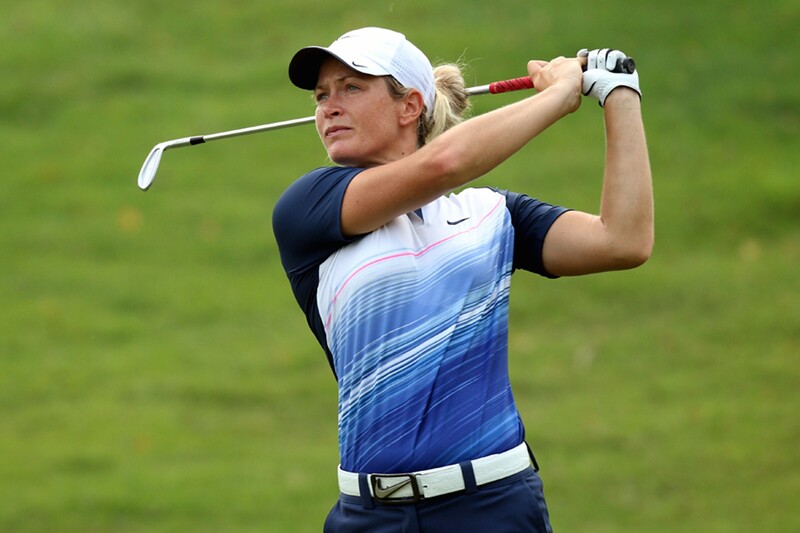 GolfPunk Attributes: To talk about the European Solheim Cup Team and leave out Pettersen would be a crime seeing as she has played in every single one since 2002. Two major wins at the 2007 LPGA Championship, and the 2013 Evian Championship make her somewhat of a legend of the game in recent years too. Although she struggled this morning in the foursomes losing 3&2 to a strong USA side of Pressel and Creamer, Pettersen has a good record at Solheim Cups and won’t go down without a fight. European ladies golf owes this girl a lot. GolfPunk Attributes: Paula Creamer is the household name among women’s golfers. If you were to ask most amateur, male golfers who they knew most about in women’s golf I reckon most of them would say Paula. Although she hits it extremely short for a professional golfer with a driving average of only 245 yards recording in 2012, Paula is pretty dam consistent. Known for her greens in regulation record and her steady iron play, she had found herself with a handful of wins, and a major win back in 2010 at the U.S Open. Nick-named the ‘Pink-Panther’ Creamer is also known for her excessive use of the colour pink. Over the years she has donned the fairways with Poulter-esc outfits, and continues to light up the course with style and flair. GolfPunk Attributes: Although she hasn’t got herself a professional win yet on the LPGA Tour, Lee only turned pro in December last year so I think it would only be fair to not write her off just yet. Her amateur career was a special one in terms of match play, helping USA to three straight wins in the Junior Solheim Cup in 2011, 12, and 13. 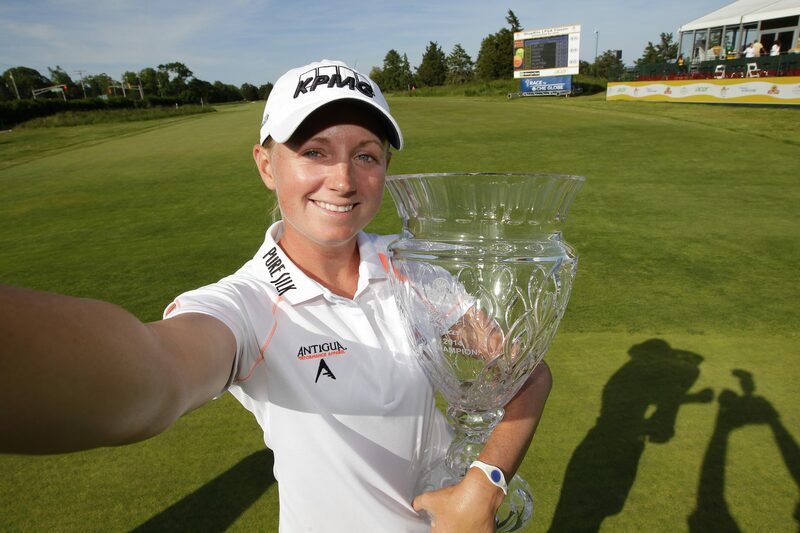 She has also played as a member of The Junior Ryder Cup squad and the Curtis Cup team. From 2010 to 2014 she had 13 Amateur victories, impressive to say the least. When you watch Lee play she has similarities to Michelle Wie, with an attractive swing and a fast passed whip through the ball. Blink and you’ll miss her. 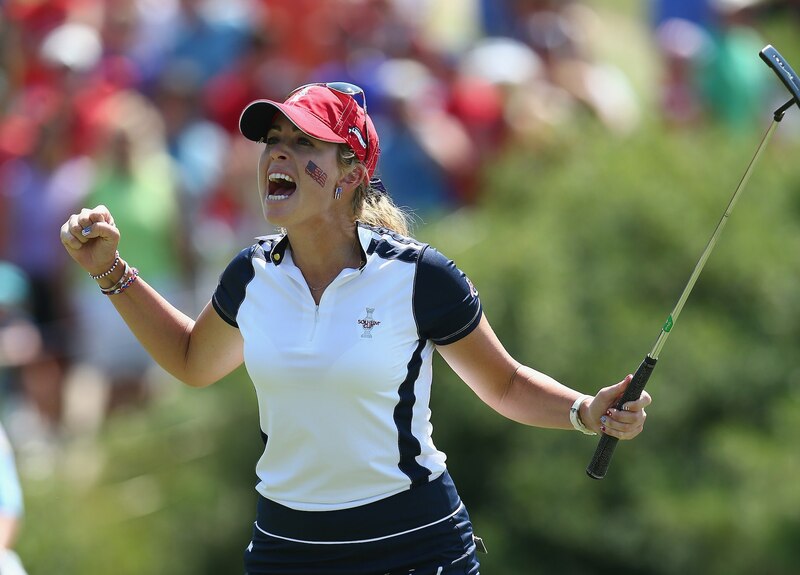 She’s the only rookie in this year’s Solheim Cup. GolfPunk Attributes: Stacy’s world ranking speaks for itself; she has had a cracking career and is still only 30 years old. Although she lost this morning 3&2 in the foursomes with her partner Lizette Salas, she has come into this years Solheim Cup in strong form. However, her Solheim Cup record isn’t strong as her Tour record. Playing previously in 2011 and 2013, she has only won 31.3% of her matches gaining only 2.5 points in total. 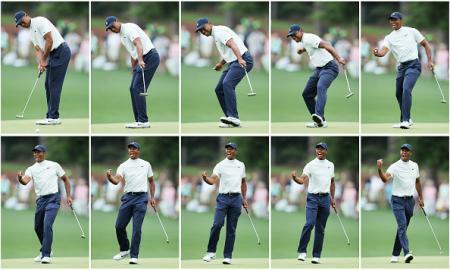 Having said this, Lewis plays with style. She has a consistent all round game, proved with two major wins at the Kraft Nabisco Championship in 2011 the British Open in 2013. This year she has had two top five finishes in majors too. If she carries on playing that well, the points in match play will follow. GolfPunk Attributes: We all know that she rips it, bursting onto the scene with a win at the 2009 Lorena Ochoa Invitational, she hasn't quite fulfilled her potential. Swallowed up by the McIlroy and Woods Nike Machine, Wie hasn't dominated the game like many predicted. She silenced the critics however with a major win at last year’s U.S Open. This morning she lost 2&1 to the all-England partnership of Hull and Reid, but Wie has a strong Solheim Cup record winning 6.5 points in her three previous appearances, with a win rate of 54.2%. 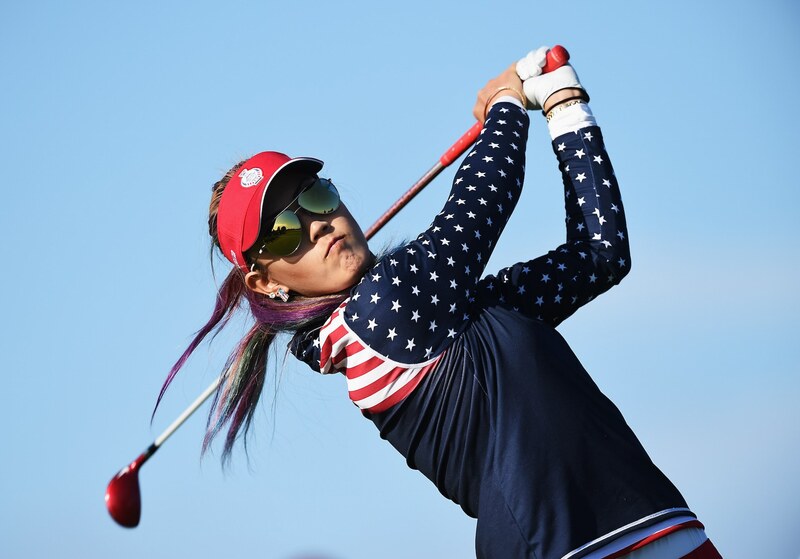 Wie’s on course style is also something worth mentioning, if after this week, women’s golf gains the same amount of new players as there are different colours in Wie’s hair, then the 2015 Solheim Cup will have been a success.